Do you know about Ford’s Adaptive Cruise Control? It will be featured on the all-new 2017 Ford F-Series Super Duty pickup! If you love Ford’s technology, you’re going to love the fantastic NEW technology on the new 2017 Super Duty! Ford drivers will have more confidence and control behind the wheel of the all-new 2017 Ford F-Series Super Duty. Adaptive cruise control won’t be the only amazing hi-tech feature included. It will also offer adaptive steering and Blind Spot Information System with trailer coverage, for the very first time! This truck will have it all! Drivers will be able to set cruise control at a comfortable following distance. That’s the great thing about adaptive cruise control. This feature uses radar to measure the distance and speed of vehicles ahead. Then it automatically slows truck and trailer to maintain that preset distance. Adaptive cruise control on Super Duty’s 6.7-liter Power Stroke® diesel engine uses the engine brake to smartly assist drivers towing heavy trailers. 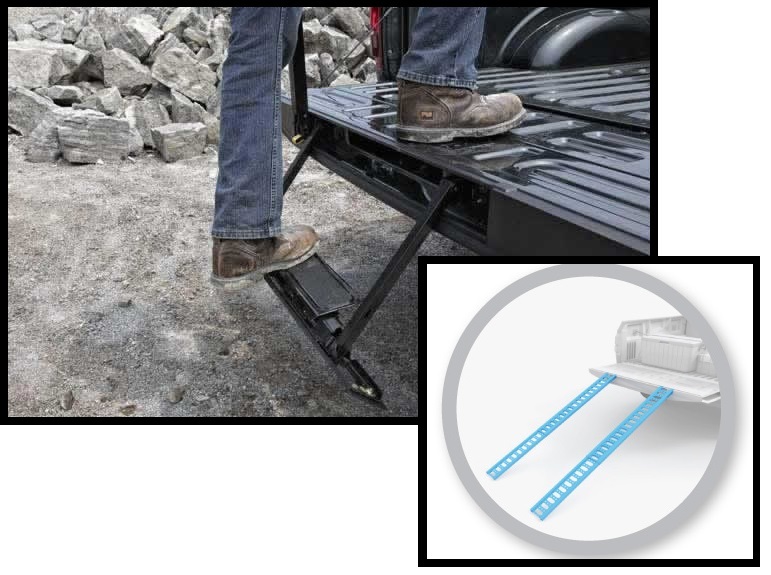 This allows truckers to traverse steep mountain grades with ease. Adaptive cruise control will be an option on Lariat and King Ranch models. It will also be an option on Platinum Super Duty pickups. This included the powerful Ford F-450 Super Duty! Adaptive Steering helps to give Super Duty drivers maneuver tight work sites and parking lots. Adaptive steering is a new generation of power steering technology. It reduces the amount of steering input needed to change direction at low speeds. It also reduces sensitivity to steering input at higher speeds. This helps make towing the heaviest of loads easier. BLIS with trailer coverage is another Super Duty class-exclusive feature. It uses radar hidden in the taillights to detect a vehicle entering a driver’s blind spot. While driving or backing up, it alerts the driver with a yellow light in the side-view mirror. For Super Duty, BLIS can extend to the back of the trailer. This helps to make the driver aware of vehicles entering the trailer’s blind spot. It’s great! Basically, Ford is making it easier to do all the things you love to do. It doesn’t matter if you’re towing a jet ski or a load for your job site. The 2017 Ford Super Duty will have the technology you’ll need to get the job done. Don’t work hard! Work smart instead! 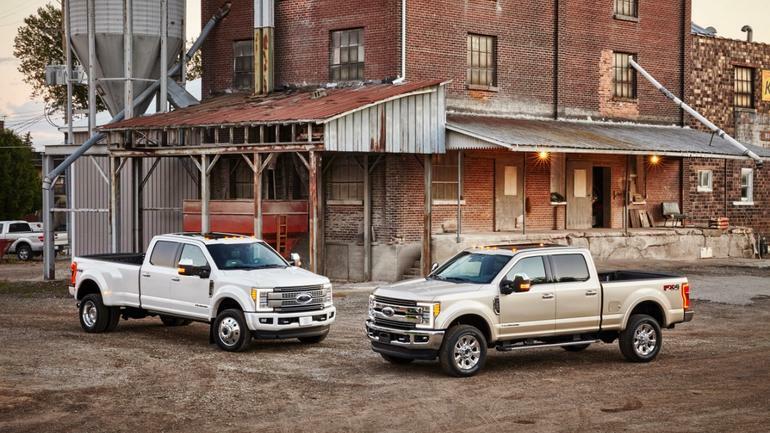 We have all the information on the all new 2017 Ford F-Series Super Duty. Give Beach Automotive a call today! We have a great selection of Ford trucks ready for you to test drive.